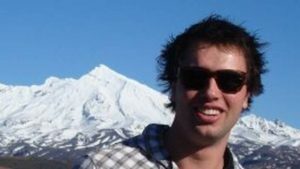 Gravatt, a 22-year-old medical student, died at Auckland City Hospital nine years ago but was reopened after his parents received an anonymous letter alleging deficiencies in his care. Gravatt had woken up at 4am that day with a headache, fever and severe groin pain. He was thought to have influenza. In the afternoon, he was given a dose of the antibiotic to treat pneumonia, which can result from the flu virus and was a working diagnosis at the time. In the early evening after meningococcal septicaemia was diagnosed, he was given another antibiotic. Thomas, an infectious diseases specialist at the hospital and at the University of Auckland said, earlier treatment with an anti-meningococcal antibiotic would have improved his chances of survival, but it is difficult to say by how much, given the range of variables that impact on mortality rates”. Gravatt died of meningococcal septicaemia, in which the bacteria multiply in the blood stream.